Summer is just a few months away and the beach will always be our go-to destination. But sometimes we just can’t fully enjoy it to ourselves because of a huge turnout of visitors. I experienced this a lot which is why it has become a habit of mine to hit the shores during off-peak seasons to avoid the crowd. To a point, I even wished of having an island paradise to myself! Well, GetGo may just make that happen with their Exclusive Island Escape promo! 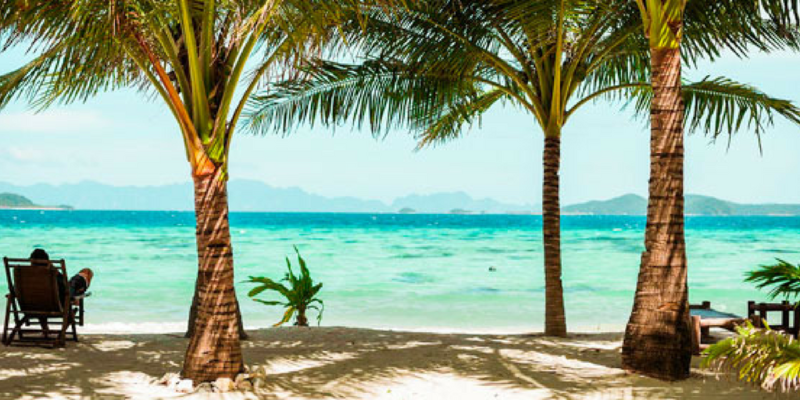 Gather up your family, partner, and friends because three lucky GetGo members can enjoy paradise with a 3-day all-expense-paid stay at Bamboo Private Islands! The best part is it comes with round trip tickets to Coron, Palawan! Whether you are up for some chill moment or adventure, Bamboo Private Islands has it covered! Enjoy a peaceful escape and soulful getaway with the island’s promise of exclusivity and privacy. Visitors get to feel the island breeze as they stay in uniquely-designed bamboo huts, perfect for a simple and humble island living. They also boasts their true farm-to-kitchen dining where everyone can delight in authentic, delicious everyday meals made from the fresh and safest local ingredients from their organic farm! Winning GetGo members can relax in the fresh ocean breeze while enjoying a stunning view of the clear blue waters surrounding the island. Up for some adventure? You’ll love this! Adventure seekers can make the most out of their island stay by indulging in exciting activities where they can see and appreciate the beauty of Calamianes. Explore the mountainscapes or discover the beauty of the ocean, travelers can choose from snorkeling diving, kite boarding, paddle boarding, and island hopping. Personally, here is one activity that I would love to try- dine at the open pavilion while basking at the sight of sunset. Bamboo Private Islands is hidden in the middle of Calamianes but everyone who visits it will be transported by a banca or speedboat from Coron. They will then be welcomed by the white sands and crystalline water surrounding the island! Now, if that does not sound like a paradise, I don’t know what will! GetGo’s Exclusive Island Escape promo will take lucky members to Palawan’s beautiful tropical heaven for a vacation like no other. Start earning your GetGo points from January 31 to March 31, 2018 to join experience the perks of living in the ultimate dream island! Each GetGo point earned and redeemed is equivalent to one (1) raffle entry. More entries, more chances of winning! GetGo members who use their Cebu Pacific GetGo Debit Cards by Unionbank and GetGo Peso+ Prepaid cards get 2 raffle entries for every point earned. Members who use their Cebu Pacific GetGo Gold and Platinum Credit Cards by UnionBank get 3 raffle entries for every 1 GetGo point earned. Live the GetGo lifestyle with its wide network of partners to earn and fly your way to Palawan’s Bamboo Private Islands. For more information on memberships and partners, visit getgo.com.ph. Stay updated on the latest promos by liking GetGoPH’s official pages on Facebook, Twitter and Instagram. Book, Travel, and Travel More with Travelbook!